Kayode Fasehun, son of late founder of the Oodua Peoples Congress (OPC), Frederick Fasehun, says the family is yet to come to term with the passing away of his father, saying the sudden death left the family speechless. Dr. Fasehun, died in Lagos in the early hours of Saturday after a brief illness. Agency report quoted Mr. Kayode as saying that Dr. Fasehun’s death had left members of his family speechless and in pains. “We still can’t believe that Daddy is gone. He was active on Tuesday, hospitalised on Wednesday and died a few days after. “We can’t believe this but God knows best. We wish to thank Nigerians for their support and prayers,” he said. 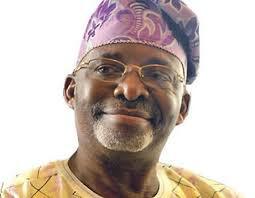 He said the family was consoled by the fact that Dr. Fasehun died peacefully. “We express gratitude for the prayers and good wishes of friends, well-wishers and family,” Kayode said. Dr. Fasehun was educated at the University of Aberdeen, Scotland, and graduated as a medical professional, after obtaining his first degree. He was a specialist in four branches of medicine: Anesthesiology, Acupuncture, Medicine and Surgery, thus becoming West Africa’s first acupuncturist. He worked for many years at the Lagos University Teaching Hospital (LUTH) where he rose through the ranks to become an authority in the medical profession. He was later awarded a Doctor of Philosophy (PhD.) degree. Amongst his many other endeavours, Dr. Fasehun was the founder of the Oodua People’s Congress (OPC), a pan-Yoruba socio-cultural group, Besthope Hospitals and Century Hotels, Lagos. He later founded Frederick Isiotan Fasehun Foundation (FIFF), a non-governmental organization, which has security, unity and health as its core mandate. He was active in the Nigerian political space for many years and was one of the founding fathers of the Social Democratic Party (SDP) on which platform he became a presidential aspirant. Fasehun was a renowned freedom fighter and an icon for social justice, a stance that earned him 19 months of solitary confinement at the Intercentre (a prison facility built in the Ikoyi Cemetery) under the former military Head of State, General Sani Abacha in 1996. He later served in other prison facilities across the country including the Kuje Prison, Abuja, and a few other detention centres.